With music, food and theatre drawing visitors from all over the country these are events that should not be missed. We have selected a few of our favourites from the Cornish calendar. If you’re attending an event and need somewhere to stay, call us on 01726 833302 and book a room. The 108th edition of the Cornwall Garden Society Spring Flower Show will be a celebration of all things Spring. Taking place on the 6th and 7th April at the Boconnoc Estate, near Liskeard, the CGS Spring Flower Show is one of the most widely respected flower shows in the UK. Featuring exhibitors from across the county, the 2019 show promises to be even more vibrant with an additional marquee being added, featuring a range of interesting artisan crafts. Tickets start from £10. Perched on the cliffs high above the Atlantic ocean sits Cornwall’s world famous open air theatre. 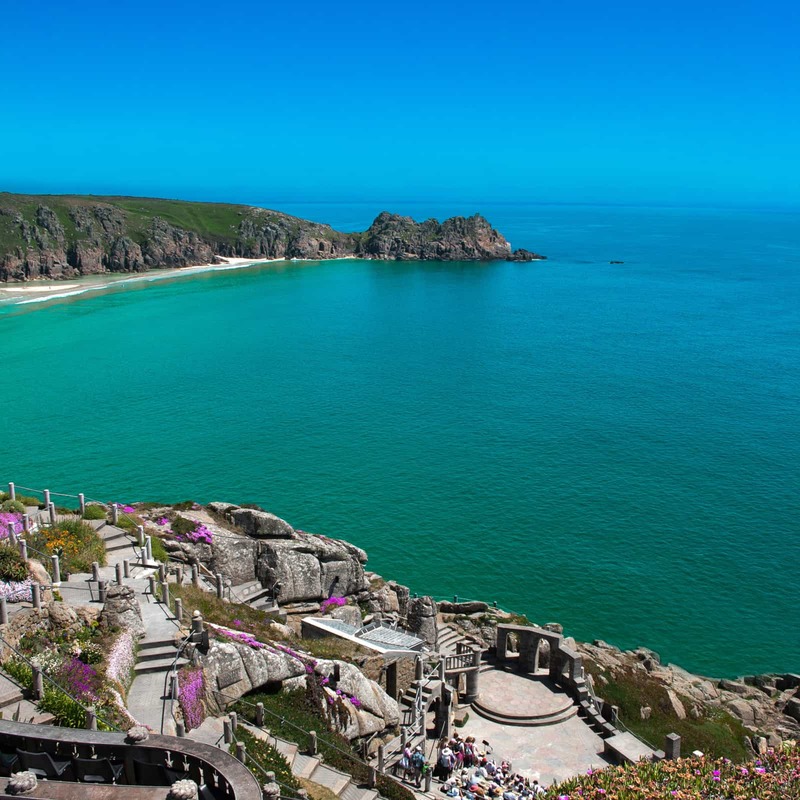 Set in glorious sub-tropical gardens, The Minack Theatre overlooks the spectacular panorama of Porthcurno Bay and offers performances in one of the most unique and magical locations the country has to offer. The summer theatre season runs from May to September, presenting drama, musicals and opera from the very best amateur and professional theatre groups. From the start of April until the end of October, the theatre is open daily to visitors, except during ticketed matinee performances. 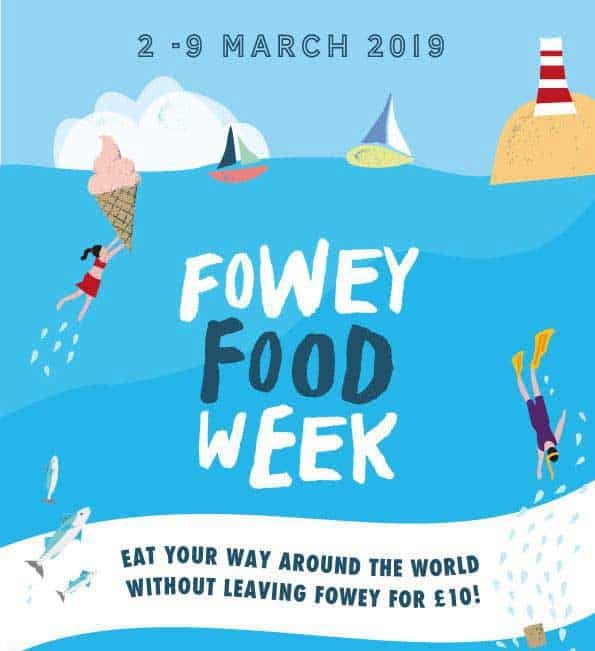 A must visit for anyone in Cornwall during August, Fowey Regatta is one of the most popular events that the county has to offer with thousands of visitors flocking to our, normally, tranquil little town. Taking place from 18th to 24th August, this week long celebration of sailing is packed with events. Each year a carnival procession parades through the streets of Fowey, featuring both visitors and locals alike dressed in weird and wonderful costumes. The regatta also features a host of entertaining attractions such as a fun run, a flora dance, gig racing, harbour swimming races and a giant pasty ceremony. The highlight of regatta week is undoubtedly the spectacle of the world-famous RAF Red Arrows who carry out an impressive display over the estuary. Daily live music and fireworks on the first and last night make this an event not to be missed. Having been buried under decades of undergrowth, the Lost Gardens were restored and unveiled in 1992, offering the public over 200 acres of wonderfully mysterious gardens to explore. Take a step back in time by discovering the Victorian productive gardens and journey across the world through the Italian Garden and Alpine-inspired ravine. 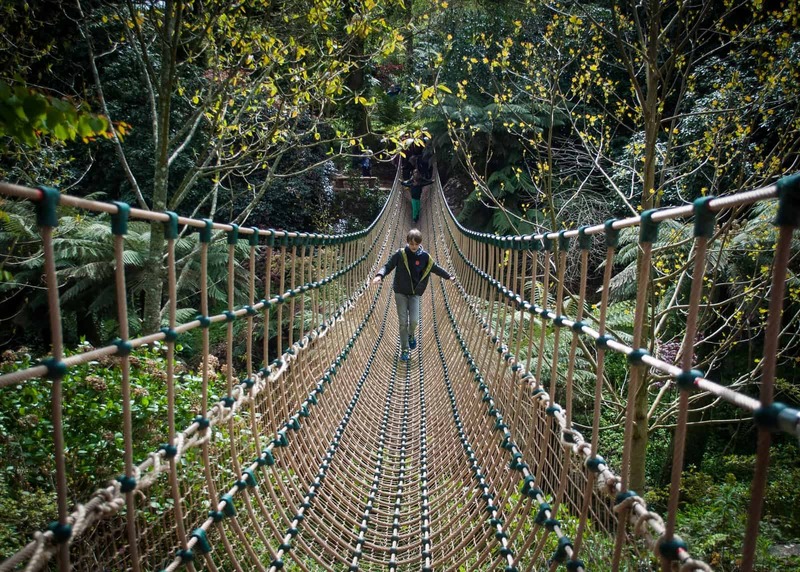 Whether you are venturing through Heligan’s jungle boardwalks, reliving the story of The Mud Maid or escaping to the natural woodland, the Lost Gardens has something to offer everyone. The Lost Gardens are open all year, except from Christmas Eve and Christmas Day. Organised by the du Maurier Festival Society, Cornwall’s premier literary festival takes place in various locations throughout the town of Fowey, promising an impressive line-up of literary and musical talent. This year’s festival will run from 11th to 18th May and is a must do event for anyone in Cornwall, not just book lovers. 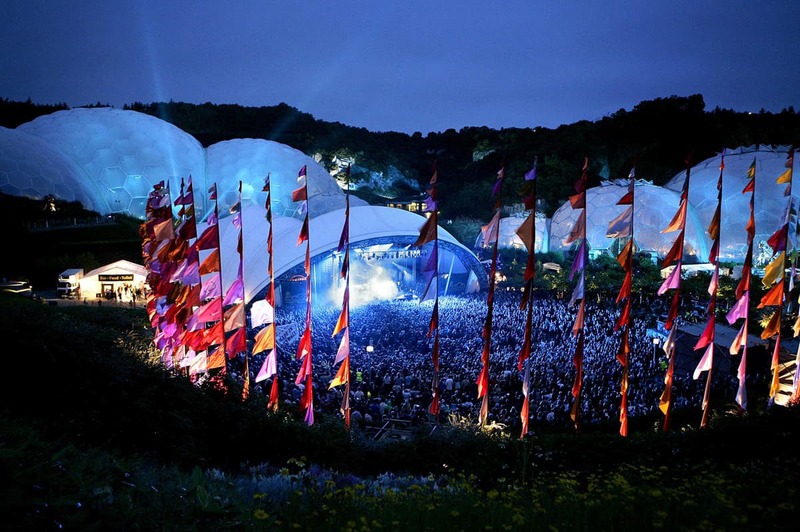 Set in, undoubtedly, one of the most unique locations in the UK, the Eden Sessions host some of the biggest names in music. Elton John, Lionel Richie and Tom Jones, to name a few, have all previously headlined at Eden. 2019 will see the Sessions play host to The Chemical Brothers and Kylie Minogue. As part of the Sessions experience, guests can explore the colourful gardens and towering biomes, and can enjoy food from the Eden kitchen as well as sip on a drink from one of the many plentiful bars. Tickets for the Eden Sessions start from £40. Launched in 2005, this weekend of festive entertainment, food and drink is the perfect way to begin the festive season. Visitors from all over Cornwall, Devon and beyond, flock to riverside location of Fowey at the end of November to find some great Christmas presents from a choice of over 100 traders selling quality gifts and produce. Attracting over 40,000 people, the Padstow Christmas Festival is one of the largest Christmas events in the UK, showcasing chefs, quality food and local crafts to celebrate the festive season. Visitors to the festival will find two cooking theatres featuring demonstrations from a number of award-winning chefs. As well as this, more than 100 local producers will be selling an array of products in the traditional Christmas market. Amid scenic views of the estuary, visitors can enjoy yuletide entertainment throughout the weekend with live music, carol concerts, a spectacular firework display and a lantern parade all adding to the festive atmosphere.